A 29-year-old from Northampton, who broke a man’s jaw in two places after he punched him has been ordered to complete 270 hours of unpaid work. 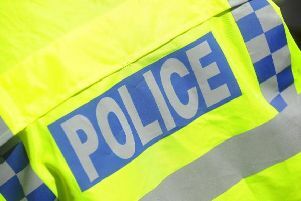 Lewis East, of Lawrence Court, Northampton, launched an unprovoked attack on a man who was sitting on a wall outside East Hunsbury library. Northampton Crown Court heard East approached the victim who was drinking lager with a woman and told them “to be quiet”. Alison Hollis, prosecuting, said the man and woman were surprised by the request as they believed they were talking quietly. The court heard East then demanded one of the man’s cans of lager and then punched him in the face. The man was knocked to the floor, and his jaw began to swell. He was taken to Northampton General Hospital and an X-ray revealed his jaw was broken in two places. The man had surgery to fit two metal plates in his jaw. East pleaded guilty to charges of causing grievous bodily harm and theft. Judge Smith gave East a prison term of 14 months, suspended for two years. He was given a two-year supervision order and must pay £600 compensation to the victim.